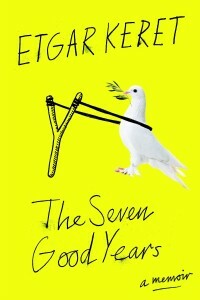 Etgar Keret’s memoir, The Seven Good Years, is worth reading more than once. Keret has written a perfectly balanced book, both thoughtful and funny. The book is organized by years, with several essays to each year. When it begins, Keret’s son Lev has just been born. Keret’s father dies at the end of the book. The essays sketch out the time in between family, writing, and daily life in Israel. Here in the United States, we mostly hear about Israel as a grand political conundrum with settlements being built and rockets being lobbed from one side to the other. It’s fascinating and eye-opening to read about it as a place where normal people live — people who play Angry Birds, argue, protect each other, suffer through illness, exercise, manipulate their teachers, cry, love, and live with a wide variety of other folks, religious and secular and smelly and opinionated. Keret’s writing is spare but full of emotion. It’s funny. The first essay, “Suddenly, the Same Thing,” begins like this: “‘I just hate terrorist attacks,’ the thin nurse says to the older one. ‘Want some gum? '” In “Big Baby” Keret looks at his two-week-old son and realizes that he already has a personality; he’s simultaneously enlightened, a junkie, a psychopath, and a self-hating Jew… at which point Keret’s wife stops him and sends him off to change a diaper. One of the lovely things about these essays is how easily we get to know Keret’s family and how complex they are as characters, despite the short essays and the simple writing style. Everyone can sympathize with a telemarketer who won’t give up (and a man who won’t hang up on her). Syria and Lebanon come up, as does the question about whether three-year-old Lev should perform his military service in fifteen years. In a hilarious essay about exercise, Keret is asked not to come back to a yoga class full of pregnant women because he should take on “a little something less challenging than yoga.” He ends up in pilates, where he happily lies on his back for an hour in his new sweatpants with a “gold stripe down each leg just like David Beckham.” While many of the essays mention Keret’s trips to participate in writers’ events, a few of them are specifically about being a writer. Readers will be so invested in Keret’s dark and funny writing that they’ll enjoy understanding how he thinks about his own work. 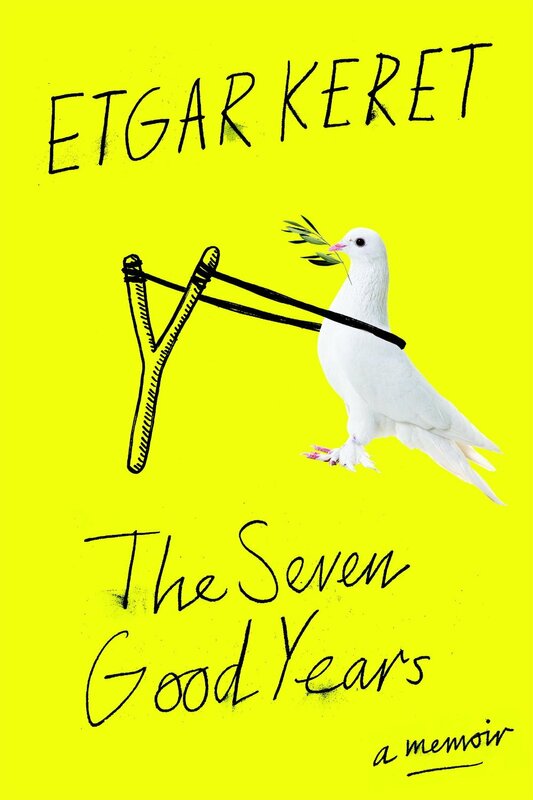 The Seven Good Years is at once hopeful, funny, sad, charming, thoughtful, poignant, and honest. It’s fun to read the writing of someone who believes in humanity overall and who believes that readers are smart enough to see the humor in everyday life.